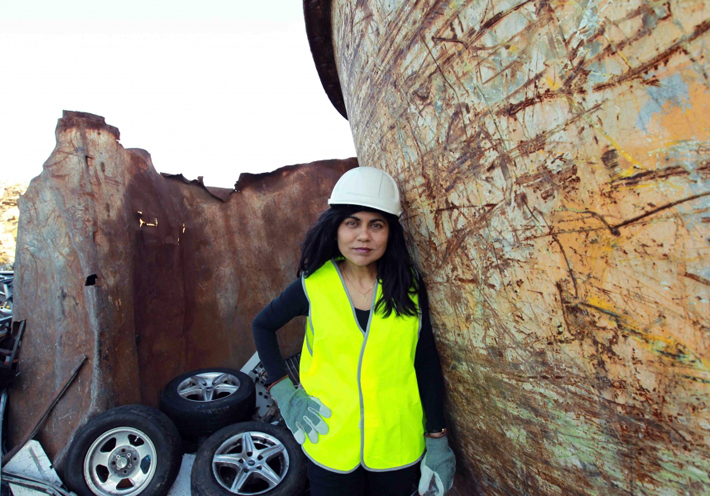 Engineer Veena Sahajwalla, known as the “alchemist of waste,” has invented a process for recycling rubber tyres into steel, called “green steel.” Car tyres are a very large contributor to waste. By diverting over 2 million passenger car tyres from landfills so far, environmental and economic value is derived from potential waste. Veena Sahajwalla is a Laureate Fellow and the Founding Director of the Sustainable Materials Research and Technology Centre (SMaRT) at the University of New South Wales in Australia.